Before RuPaul's Drag Race brought behind-the-scenes drag queendom into American living rooms, before Drew Droege earned viral and comedic street cred and millions of YouTube hits as an obscure connoisseur Chloe Sevigny; before the National Teacher's Association formed its Drag Queen Caucus and January was claimed and renamed as National Drag Queen History Month, and long before nearly every party promoter began assigning a wig-wearing miss thang to hosting duty, there was Dragstrip 66. A come-as-you-are party, Dragstrip 66 started as a motley yet modest Silver Lake get-together. The monthly party began to attract clubgoers disenfrachised from the meat-market aspect of nightlife, celebrities like Drew Barrymore, Marilyn Manson and Mink Stole and celebs-to-be like Adam "Glam"bert, who was a club regular and performed backup vocals for one of the party's most popular performers, Mz. Alana. Dragstrip 66 soldiered on for 17 years and swelled to crowds of 1,500, becoming LA's longest-running and most popular drag culture event. Its influences are not only found in today's mainstream pop culture but in the city's latest clubbing success stories, like Moustache Mondays and A Club Called Rhonda, which tout the same hallmark pansexual crowd, DIY aura and a welcome ethos. 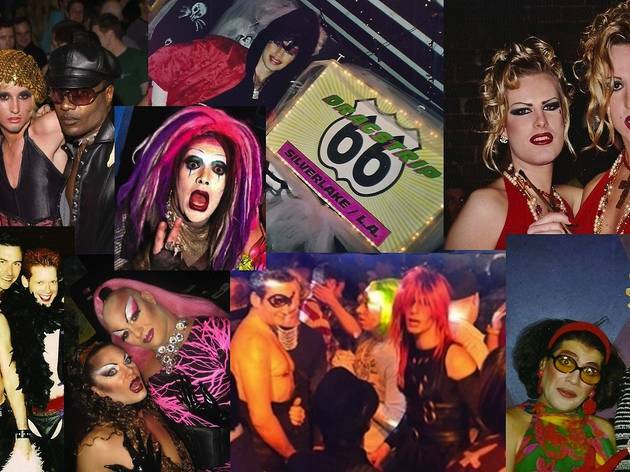 After nearly two decades of monthly parties and a saturation of drag queendom into mainstream culture, Dragstrip 66 founders DJ Paul V and Mr. Dan (aka Gina Lotriman) felt the concept was starting to leave them feeling not-so-fresh. So they put the party on restriction, only reviving it for anniversary blowouts and occasional events. Now, as the calendar closes in on the party's 20-year anniversary, it's founders have decided to officially say goodbe by staging one final showdown—an homage to its many followers and family amassed over its unnaturally long nightlife lifespan—called "You're the Stars in Our Eyes."